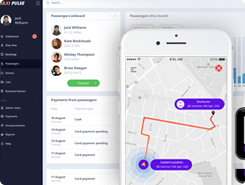 Seamlessly connect shippers to truck drivers and carriers with a Uber Freight like app development solution. Increase efficiency, acquire new customers and improve profitability with our app based truck dispatching system. Expand and grow your moving business with a branded Uber for moving app for your customers. A feature-packed truck dispatch software solution with native apps for shippers and drivers and a powerful dashboard for admins. 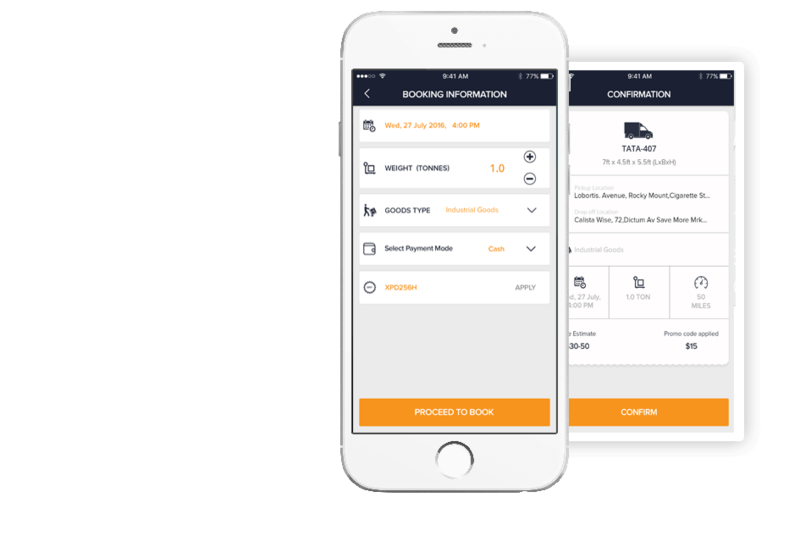 Launch branded apps for your shipping customers to seamlessly book, track and pay for their shipments and loads. Your customers can simply provide their pickup, destination and package details, request a quote, schedule a delivery and pay online from the shipper’s app. Real-time package tracking feature with expected ETAs and timely alerts for an end-to-end shipment booking experience. Shippers get push notifications via the app for new quotes, delivery confirmation, driver arrival, successful package delivery, emergency alerts and more. Features like multiple payment methods, digital in-app invoices, transaction history, email receipts and more for a hassle-free payments experience. Customers can rate their service experience and provide valuable feedback post the shipment is completed, right from the app. Equip your fleet with a dedicated mobile app to send them new booking requests from your dispatch team or directly from the shippers. Near instant shipment requests are sent to the driver app with the option to accept or reject them in a limited time frame. 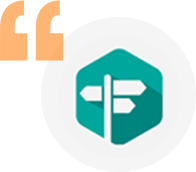 Drivers will get navigation and route suggestions to quickly pick up the shipment and drop it at the required destination without any hassle. Drivers can take a picture of the bill of lading, sign it and send it for approval, all from the truck driver app. Drivers can let the owners and shippers know about any emergency situation like vehicle breakdown, package damage, etc. Notify drivers on new updates, payments, reviews, etc. and help them with their issues. You as the owner/ transpManage And Dispatch Shipmentsorter/ aggregator will get a feature packed admin panel to manage all aspects of your app powered logistics and trucking business with custom integrations and features as per your business needs. Shipments requested will be routed directly to your drivers or you can assign them yourselves from a dedicated truck dispatch module. All the bookings can be easily managed from a central location. Add driver information, view activity and performance, settle payments and more from the driver panel. 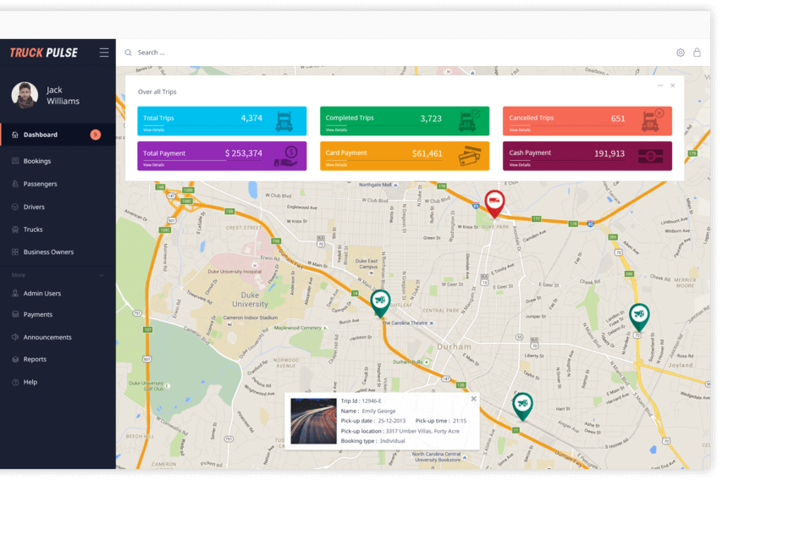 Add all your trucks and freight vehicles, track them, view usage, maintenance updates and more from your custom trucking business software. Keep a database of all your shipping customers, add new customers, create requests, raise invoices, notify them and more. Get useful insights, stats, and key metrics to make data-driven decisions and grow your business with a custom-built truck dispatch system. Losing Money On Half-Empty Trucks? 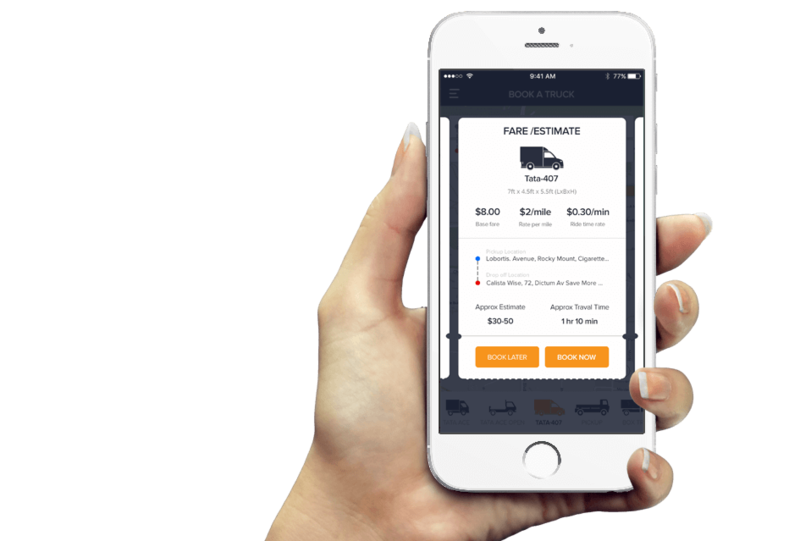 Get extra shipments and better truck utilization with a custom-built Uber Freight like app and trucking dispatch software solution tailored to your needs. By leveraging technology your business can achieve much higher operational efficiency, better service, and happier customers. We provide on-demand technology development for trucking and logistics businesses with some key advantages. Branded truck app solution for your business that is open to new features, enhancements, and integrations. 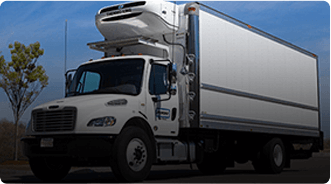 A turnkey software for dispatching trucks that can be implemented quickly, saving valuable time and money. We will host the truck dispatcher software on your private servers to give you full data ownership. 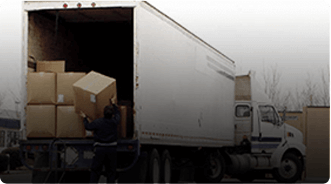 Carry multiple loads in a single truck trip by getting matched to shipments going the same way. 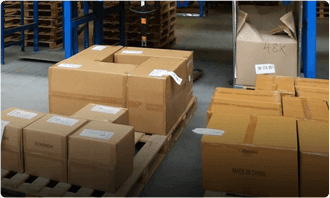 Our solution will enable you to receive and fulfill as many shipment orders as you want without any glitches. Run your shipping and trucking business in multiple countries with multi-currency and language support. Get paid for shipments from clients preferring different payment gateways with our integrated solution. The entire truck dispatch system delivers an intuitive experience for both shippers and carriers. We will fully assist you in adopting our trucking software and ensure that you get maximum ROI. 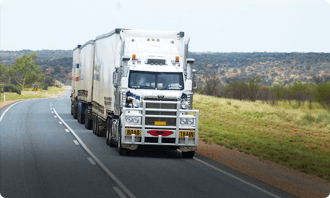 We will work closely with your business to understand what you exactly want so that we can deliver a tailored trucking dispatch software solution. Comprehensive requirement gathering by our trucking solution sales team. Let us know your preferred gateways and we will integrate them for you. 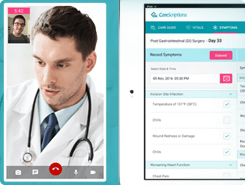 Push notifications, SMS, and email alerts are integrated into your solution. Become data driven and take advantage of built-in analytics features. Our truck app developers will perform the server setup for you. We will keep you onto the right side of security. No worries here. We will get your apps listed on Apple and Google Play stores. We will always be there for help and ensure your business runs smoothly. 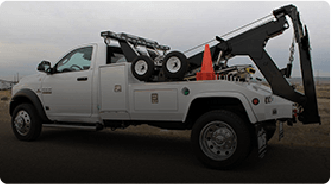 Explore the wide range of features our truck dispatcher software solution has to offer. Our experienced truck app developer team can add the features, integrations, and enhancements you want. Shippers can get started quickly with email and mobile number login options. Check and browse different truck types (FTL, PTL) in real-time on a map. MInimal booking flow - provide pickup and drop points, load details and tap book. Shippers can request and receive quotes from multiple carriers and pick one. Shippers can schedule a load/parcel pickup for a later and time. Shippers will receive important updates throughout the progress of a FCL/FTL booking. Shippers can track all their bookings in real-time and stay updated on the progress. Detailed invoice is generated post a successful delivery with the option to pay online. A dedicated section to manage all past, ongoing and upcoming booking requests. Shippers can provide ratings and share feedback post every booking completion. Shippers can refer in-app FAQs and contact service helpdesk when needed. Administrators can register drivers and provide them the driver app login details. New load requests are dispatched to nearby truck drivers on their app. Drivers can choose to go offline when they don’t want to receive requests. 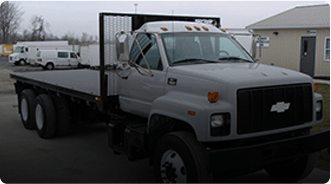 Full details on pickup and drop location, freight type, weight, etc. Drivers can find all their past, ongoing and upcoming jobs in a single place. Drivers can view the shipment route on a map for efficient navigation. Drivers can click and upload any delivery related documents from the app. Drivers can quickly alert the admin when they are faced with an emergency situation. Dedicated screen for drivers to view upcoming jobs, earnings, and other valuable data. 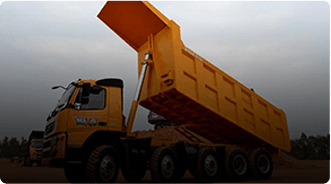 Drivers can manage the account details, get consolidated earnings report and more. Your fleet team and refer to the in-app help section or talk to support for any help. A customizable screen to view the most useful information in one place. Add and manage your driver fleet from the driver management section. Keep an up to date list of your freight vehicles with relevant information. Add and manage dispatchers to manually assign shipments to drivers. Maintain a database of your shipment customers, view bookings and more. Set shipment rates based on distance, loading/unloading charges and taxes. Configure notification settings and messages for both shippers and drivers. Keep track of all past, ongoing and upcoming bookings from a central place. View, manage, generate bills and invoices and track their payment status. Keep shippers happy by handling their refund requests efficiently. 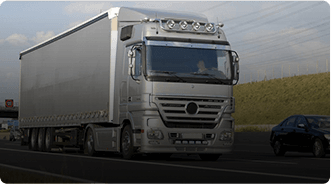 Add and manage vehicle types, freight types, supported routes and more. Provide a freight bidding platform to connect shippers to the optimal truck. Connect your shipper database to a CRM system and manage them better. We can plug into popular support systems to help you better handle issues. Add a feature to allow shippers, drivers, and carriers to talk to each other over chat. Web interface for shippers to book and track their requests. 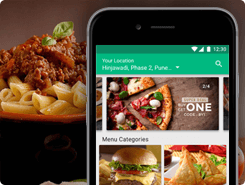 Provide rewards to your app users for sharing it with other people. Get support for RTL languages to localize the app for your region. Feature to exchange voice messages between shippers, drivers and, carriers. We offer a cost-effective Uber for trucking app development solution tailored to your needs. Get a competitive quote to build your custom trucking dispatch software solution. 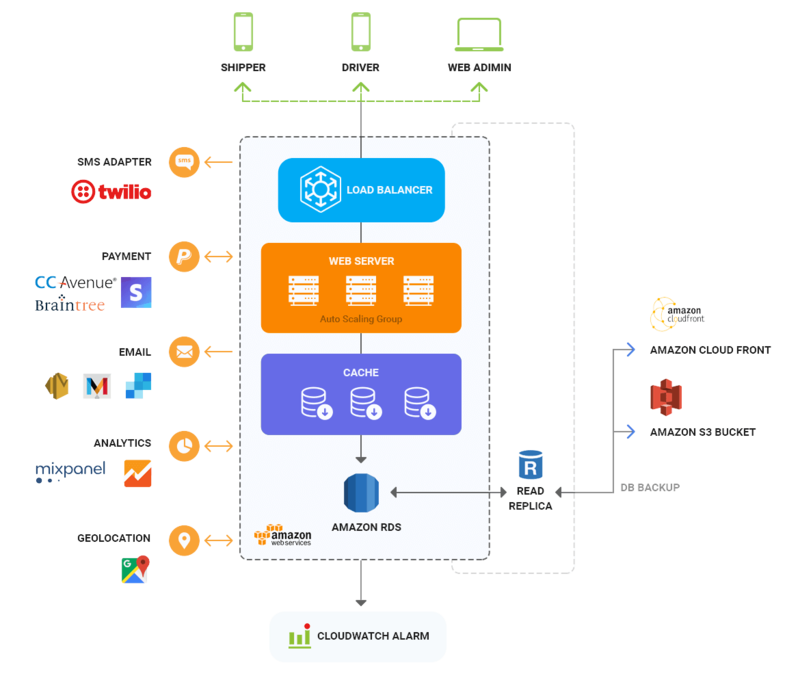 A robust enterprise grade technology stack to power your truck dispatch software solution. I am highly satisfied and happy with Mobisoft Infotech services. They are always available to provide suggestions for new features in the app. My app was delivered right on time and bug free. Their support is excellent. Thanks to Team Mobisoft Infotech!! 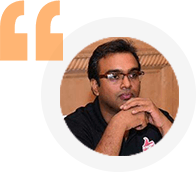 Mobisoft Infotech's Sales and Operations department are exceptional. They are very professional with implementing their tasks and especially we are super impressed with their project/ product management skills. It has been more than a year now we are working with this company so, we hold a healthy relationship and it is definitely an ongoing development. Technically, they understand our concept or requirements pretty well and are brilliant in their execution. I highly recommend them! We believe that our Uber for trucks dispatch software solution can also be put to use for new and interesting use cases for moving stuff around. Below are a few ideas to start with. Streamline your trucking operations, track drivers, and grow your trucking business with our Uber Freight Clone solution. Provide towing and roadside services on-demand for people in need on the push of a button. Launch an on-demand courier app for customers to conveniently request package pickup and delivery online. Businesses/retailers can provide doorstep delivery to buyers using their transportation resources. Municipalities can manage their garbage vans through an app powered truck fleet management software. If you have an idea for moving anything on-demand, check out our Uber for trucking dispatch software solution. Yes, our truck dispatch software solution, Truck Pulse, is a fully white label and branded for your business. From the shipper and driver apps to the admin dashboard, everything will have your business branding. The best thing about the solution is the level of customization we offer. Our truck app developers team can add more features, integrations, and enhancements as per your business requirements. Logistics and transportation companies, full truckload (FTL) services, partial truckload (PTL) services and freight carriers can gain a host of benefits like higher operational, getting more shipments, avoiding empty trucks, reducing costs, increasing revenue, better fleet management, and tracking, getting paid faster and much more by adopting our Uber for trucking app development solution. Just send us an inquiry using the contact form and our on-demand logistics consultants will get back to you within 24 hours. Our Uber for trucking app development solution is offered at a very competitive price. Based on the feature requirements, the cost may increase. Send us an inquiry to get a free quote from our team. As soon as you initiate the payment (based on the agreement), consider the project to kick off within a week or two. 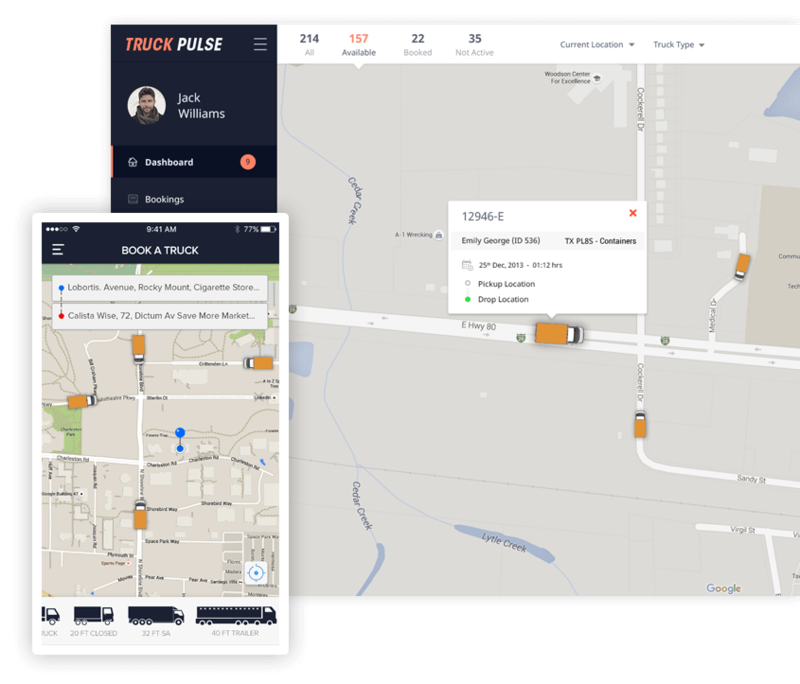 Truck Pulse uses a highly scalable technology stack to power on-demand logistics and transportation businesses. 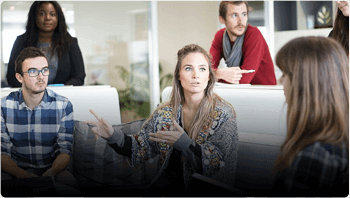 Your business can manage hundreds of dispatch requests in a day without any issues. Besides, we can always add more capacity based on your needs. No, but there are 3rd party charges involved which needs to be paid directly and not to Mobisoft. Mobisoft will assist recommending these and setting them up as part of the solution integration. 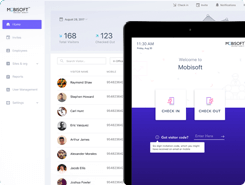 For fixed cost engagements, Mobisoft will provide 30 days of free support post-launch. After the free support period, you can choose one of our app maintenance service plans.